Apple has been releasing new betas for iOS 7 like clockwork since its announcement at WWDC, with every second Monday seeing the fruit of the Cupertino company’s development work. But the fourth beta saw a break in the release pattern due to a security breach over at the dev portal that happened about two weeks ago. But thankfully, Apple has been keen on fixing the security issues and after a early leak of iOS 7 beta 4 download links, it is now officially available for iPhone, iPad and iPod touch on Dev Center. When Apple initially unveiled iOS 7, it was about as polarizing as John Gruber has promised just a couple of days prior to WWDC. Many folk were unsure about some of Apple’s radical design alterations, and to make matters worse, the inaugural beta was well below the standards we’ve come to expect from these dev-only release. Even though the beta tag implies an unfinished work, it was almost unusable, and with iPad support also non-existent, things were not looking good for a company clearly hoping to make a big statement with said release. The few betas since appear to have won one or two people over, with a much more solid performance allied to some well-received changes, and with the company’s tablet also supported from beta 2 onwards, developers and eager consumers have enjoyed an altogether more iOS-like experience. The fourth beta brings one or two key alterations as well as the to-be-expected spate of bug fixes and performance tweaks. If all this talk of iOS 7 has caught your attention and you want a firsthand look at what all of the fuss is about, you can download and install iOS 7 beta 4 right now on your iPhone, iPad or iPod touch. We’ve compiled an easy-to-follow tutorial on how to download iOS 7 beta and install on iPhone 5, 4S, 4, iPod touch and iPad detailing each and every step involved so before long, you can be enjoying iOS 7 beta on your iOS device. Please bear in mind, however, that iOS 7 beta is still very much a work in progress, despite the improvements made over the past six weeks. Some of the features still have yet to be configured for prime time and as such, we’d only recommend installing on a device that you don’t consider to be your ‘daily driver’. 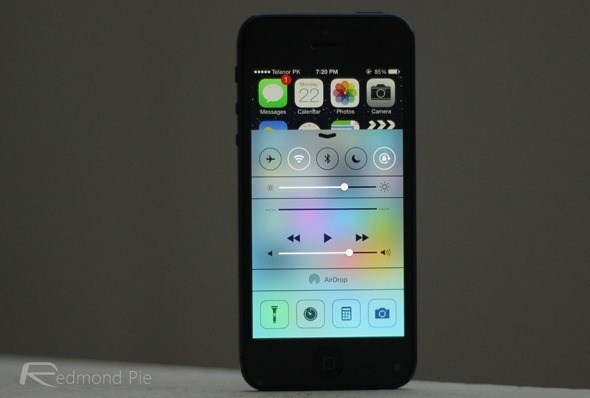 Be sure to let us know your thoughts and impressions of iOS 7 beta by dropping a comment via the usual mediums below.